Fear. This is what I saw in the video from McKinney, TX. Yes, fear in the eyes of the young women and men as the police arrived but, most evidently, fear in the police. Those with the badges and guns, with the authority of the state to justify their actions and cover their tracks- it was their voices and body language that betrayed the fear most plainly. 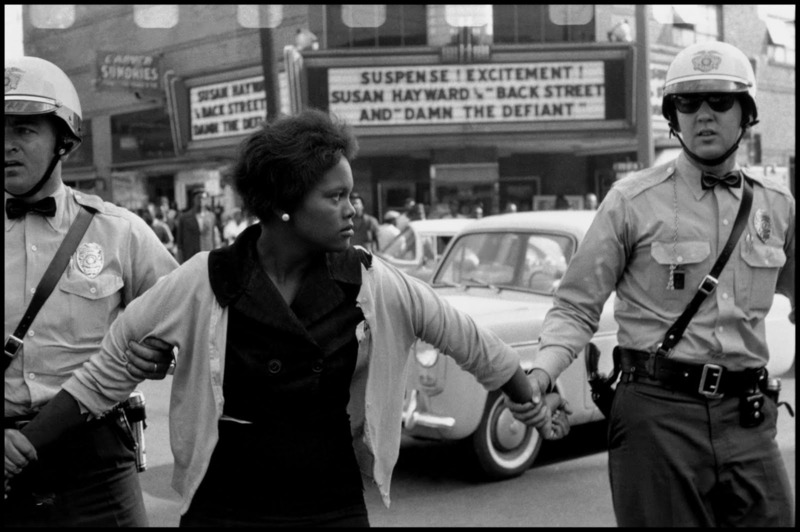 The police were afraid of these young women and men and they chased their black and brown bodies into the ground. It makes no sense. What can this be other than a sickness of spirit? What must be projected onto these children to justify such terror? 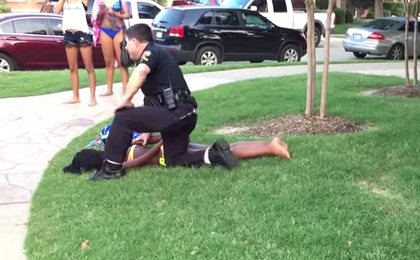 And then there is the young woman, pinned to the ground, the officer’s knee grinding into her back as his hand repeatedly forces her face into the grass. Surely she too feels fear; how could she not? But there is something else that comes through more clearly. There is defiance in her voice, courage in her body. She does not lay limp beneath this abusive power. She resists. She is brave. This holy defiance is as old as this country. It is necessary because of this country. Children’s Crusade in Birmingham, 1963. The police officer’s fear is contagious. For many of us it is genetic, seemingly woven into the fabric of our white skin and privileged minds. We ignore it most of the time, telling ourselves that we are somehow uniquely immune to this country’s racist air. But it’s a lie and anything less than telling the truth about our complicity means that we are this brutal officer’s enablers. We cannot be delicate about this. The young woman’ defiance points the way forward. We hear it in her voice. We’ve seen it in the eyes of so many other young women and men. Fear need not have the final word. A mustard seed’s worth of faith is our starting point- the conviction that this will not be the end, that Justice himself will prevail.